Al comes to us from the Great State of Wisconsin after diversions to the Air Force and Alaska. While serving his Country in the Air Force, Al served overseas in Kuwait and Honduras as a firefighter. In Alaska, Al worked for the Forest Service performing trail maintenance and fighting forest fires. He holds bachelor degrees in Biology and Philosophy, and obtained his J.D. from Lewis & Clark College in Portland. 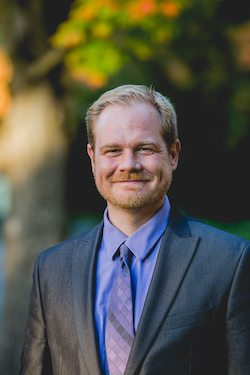 Al is admitted to both the Oregon and Washington Bar Associations and has been working in criminal defense since 2011. 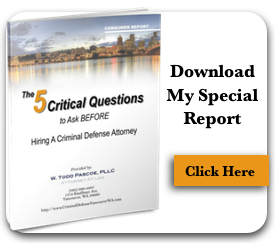 He is a member of the Washington Defender Association and the Clark County Bar Association. Al has successfully handled a wide variety of both criminal and civil matters, which have led to dismissals and “Not Guilty” verdicts in the criminal law world, and numerous resolutions in his Clients’ favor in his civil litigation practice. When he is not working hard on his clients’ behalf, Al enjoys getting outside and enjoying the natural splendor of the Pacific Northwest. Said natural splendor was the main attraction that brought Al to our ‘neck of the woods’. Additionally, Al is an avid sports fan who dominates his college-roommates in both fantasy football and fantasy baseball.